An arrogant genius whose confident snark keeps people distant finds themselves humbled after an accident leaves them gravely injured. The event sets the genius on a journey of self-discovery, in which they learn their talent can be used to help save the world. So. Am I describing 2016's Doctor Strange, or 2008's Iron Man? The problem with Doctor Strange, out this week, is that I’m describing both. Marvel’s latest blockbuster epic is the latest in a long line of origin movies from the company—and despite the fact that the Marvel Cinematic Universe is nearly a decade old, Strange is pretty much the same sort of movie we’ve seen from Marvel Studios ever since Robert Downey Jr. snarked his way through the first Iron Man and into our hearts all those years ago, and the same style of origin Marvel has been delivering since. While it’s a fairly solid structure that has served Marvel well so far, it’s gotten to be tiresome to keep seeing it in these movies. 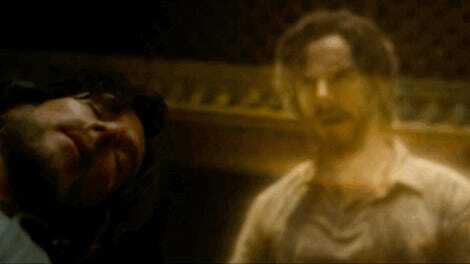 The end result is that Benedict Cumberbatch’s Stephen Strange ends up being Tony Stark again, only with a cloak instead of armor. At times Doctor Strange feels like a film that is desperately trying to break away from that rigid Marvel formula,—which makes the film feel tonally jarring at times. Director Scott Derrickson has a very specific vision for what the world of Doctor Strange is like, which makes the times that vision is forced to contort itself around the traditional Marvel style and structure the most awkward moments in the film. This becomes especially clear in the film’s jokier moments. For example: a serious conversation between Strange and Kamar-taj librarian Wong (Benedict Wong) immediately cuts to a Beyoncé-soundtracked sequence that feels like a tired attempt at shoehorning in some pop culture japes. 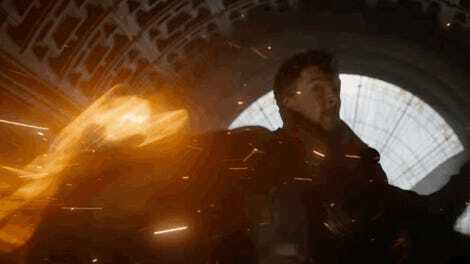 In another, the first deathly serious battle between Strange and the villain of the piece, Mads Mikkelsen’s Kaecilius (speaking of things that happen an awful lot in Marvel movies, he’s yet another barely fleshed out villain played but an immensely talented and criminally underused actor) is awkwardly interrupted by an extended gag featuring Strange’s magical cloak of levitation having a mind of its own, before the two characters remember they were in the middle of fighting each other to the death and get back to it. To be fair, the reason Marvel keeps using the same formula is because it works, and our familiarity with it helps the film throw a lot of strange concepts at the audience at a brisk pace without ever getting bogged down in over-explaining them. But the formula is also starting to show a lot of cracks at this point, because it produces the same flaws—rushed third acts, half-hearted romance subplots, and the aforementioned poorly fleshed-out villains. These consistent problems slowly but surely chipping away at each new film in the MCU’s lustre. Slowly but surely, these movies have stopped being great and started being simply decent, with a few moments of promise. During those few moments when Doctor Strange breaks away from formula, it truly shines, because it displays an inventiveness and beauty that actually is unlike anything we’ve seen in the Marvel Cinematic Universe before. This is primarily through the film’s absolutely astonishing visuals which, while only rarely as trippy as the Steve Ditko mindscapes in the pages of Strange Tales, take their Inception-esque inspiration and completely run with it to create a movie that frequently looks so stunning .your jaw will drop. It’s rare a line like “you have to see this in IMAX” in a review can sound like anything other but a cheap plug, but Doctor Strange has some really incredible setpieces that are worth having blasted at your face in the best way possible. While there’s something exceedingly silly about highly-trained masters of the mystical arts using such awesomely gorgeous, dimension-twisting power pretty much for the sole purpose of tripping people up in chase sequences, it truly is a sight to behold. 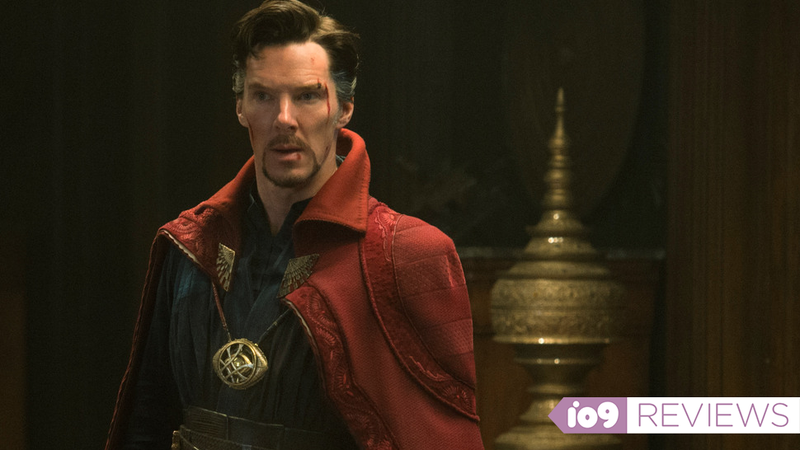 Doctor Strange’s inventiveness isn’t just confined to its impressive visuals, thankfully—while its third act setpiece has a lot in common with the stereotypical “big CGI hole in the sky” finales that plague a lot of big superhero movies, the way it solves it is actually through clever trickery rather than a big fight scene or a convenient deus ex machina. I won’t spoil it, but while it’s a plot point that is hardly new in terms of scifi and fantasy storytelling, it at least feels like a fresh concept for the Marvel movie universe—and that’s something that should be celebrated in the film’s sea of familiarity. Doctor Strange is at its best in these moments of cleverness, when it revels in the beautifully weird world it establishes. But unlike its titular hero, always eager to push boundaries to be the best, the film it never feels quite to ready to break its mold, to try to elevate itself above the movies that came before it. For now, the Marvel Cinematic Universe has been rescued from destruction by Doctor Strange—but if Marvel doesn’t start trying something new soon, all the magic in the world may not be able to save it.